Made of better materials. 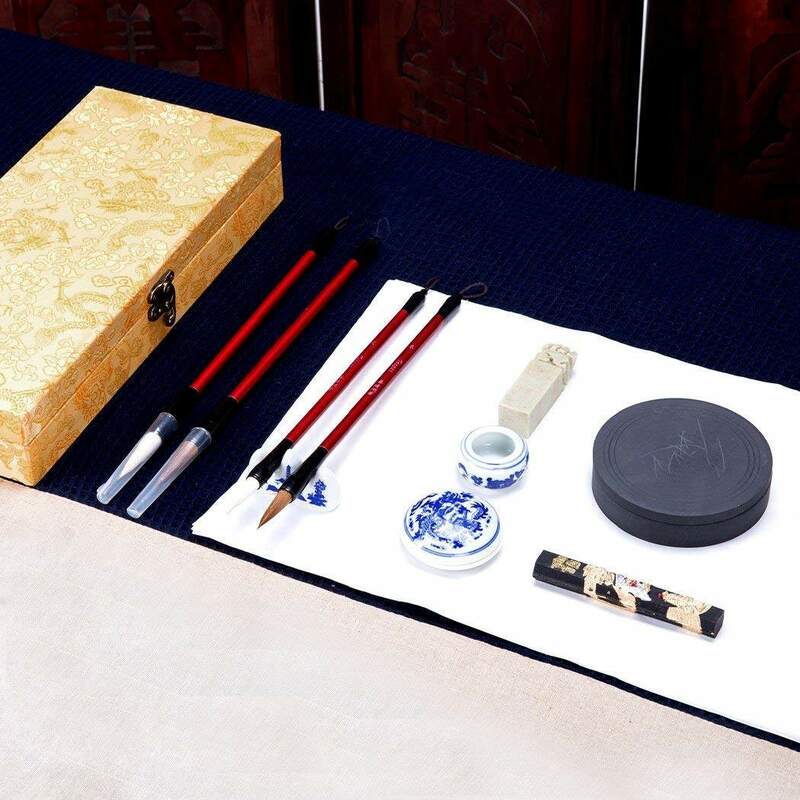 This Chinese Calligraphy Sumi Brush Writing/Painting Set is very suitable and practical for Beginners and Lovers. Two Writing Modes Design: chinese water writing mode and chinese ink writing mode. 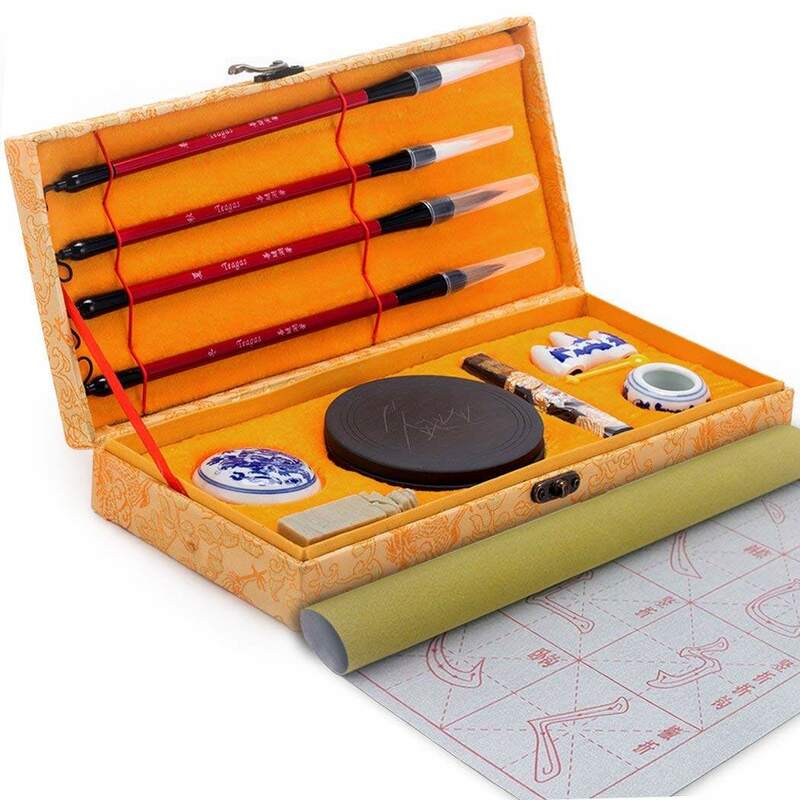 Chinese Water Writing Mode: This Chinese calligraphy set comes with one water writing cloth. Water Writing Cloth is the latest economic and practical product. You only need to write in water on it and you will see the same effect just like writing on Chinese calligraphy paper. After several minutes, it will quickly recover like original one. This mode is very practical for chinese calligraphy beginners. 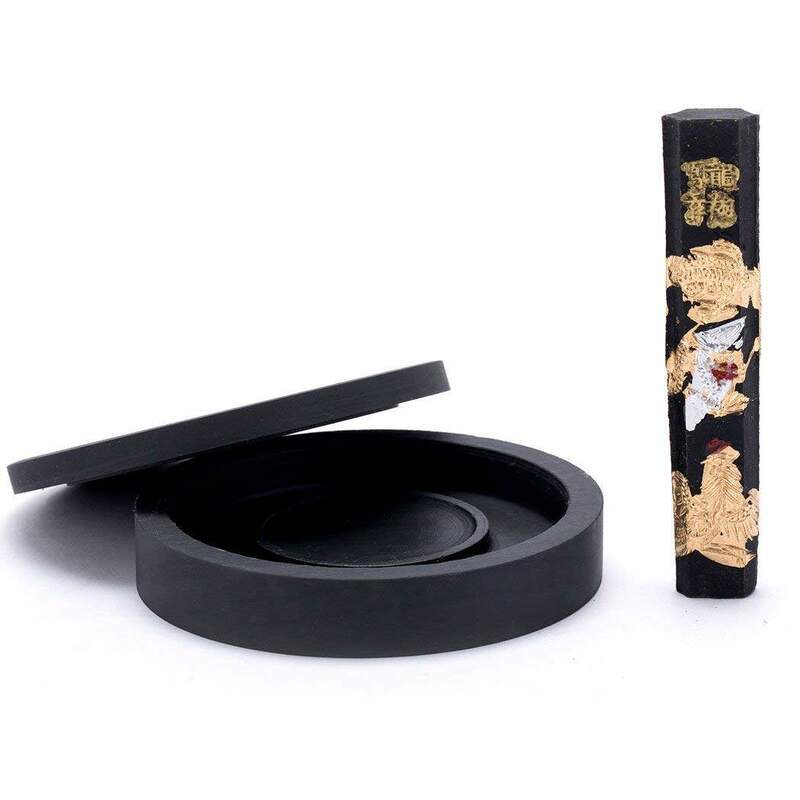 Chinese Ink Writing Mode: If you are experienced or you become an old hand at Chinese Calligraphy Writing, then it is time to go from water writing mode to ink writing mode. It's better to use Chinese calligraphy paper instead of water writing cloth when you write in ink. 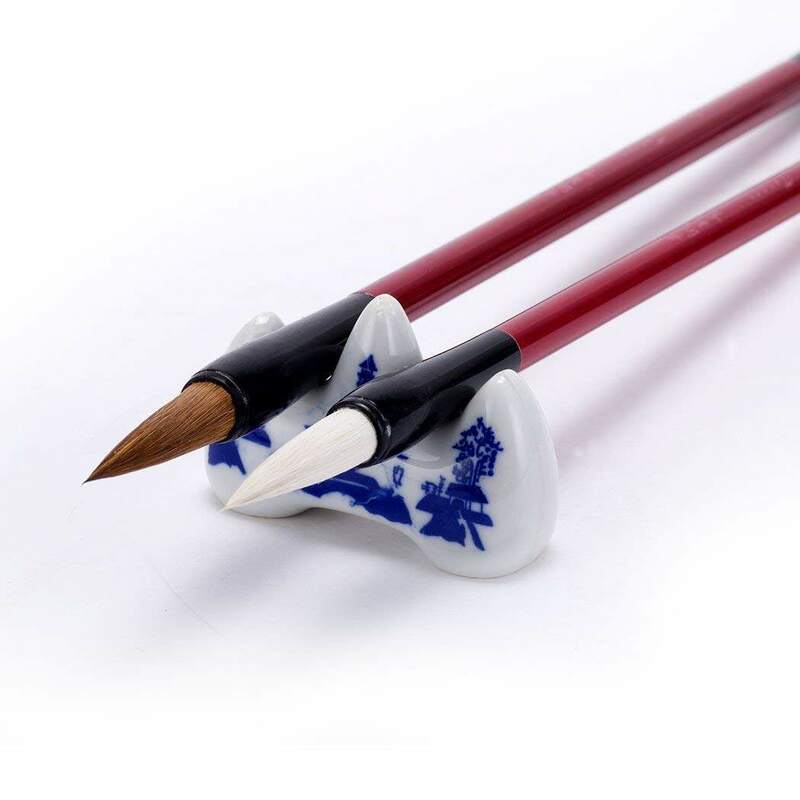 When grinding ink, just use the spoon to get the right amount of water out of the porcelain bowl to put on the ink stone. It is also nice to write Japanese and Kanji. 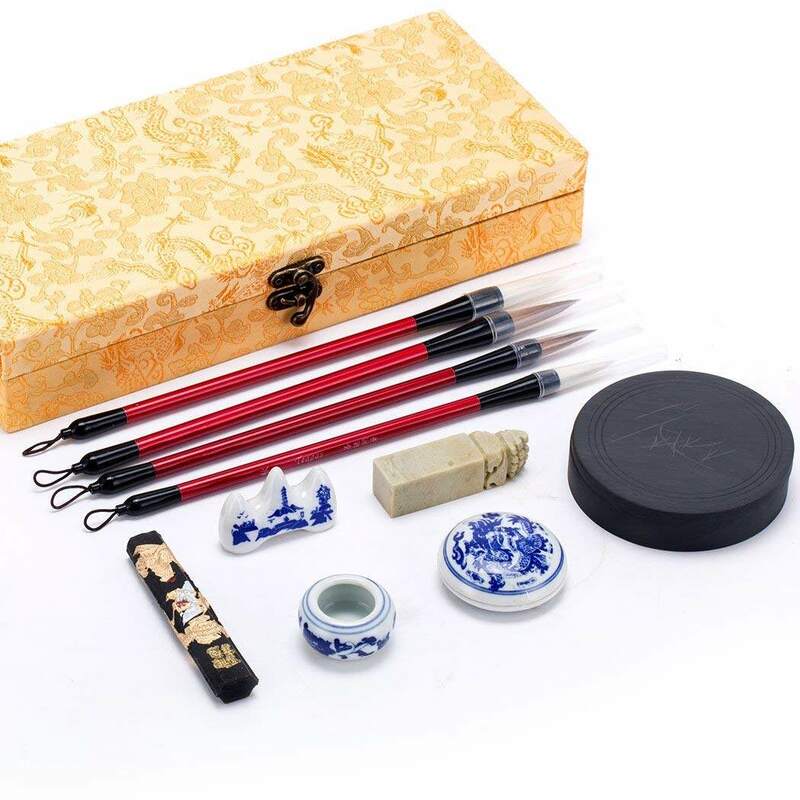 FULL SET INCLUDED 12 ITEMS-- FOUR CHINESE CALLIGRAPHY BRUSHES, ONE CHINESE INK STONE, ONE CHINESE SEAL, ONE CINNABAR INKPAD, ONE CHINESE INK STICK, ONE CHINESE BRUSH REST, ONE PORCELAIN BOWL, ONE SMALL SPOON AND ONE WATER WRITING CLOTH. 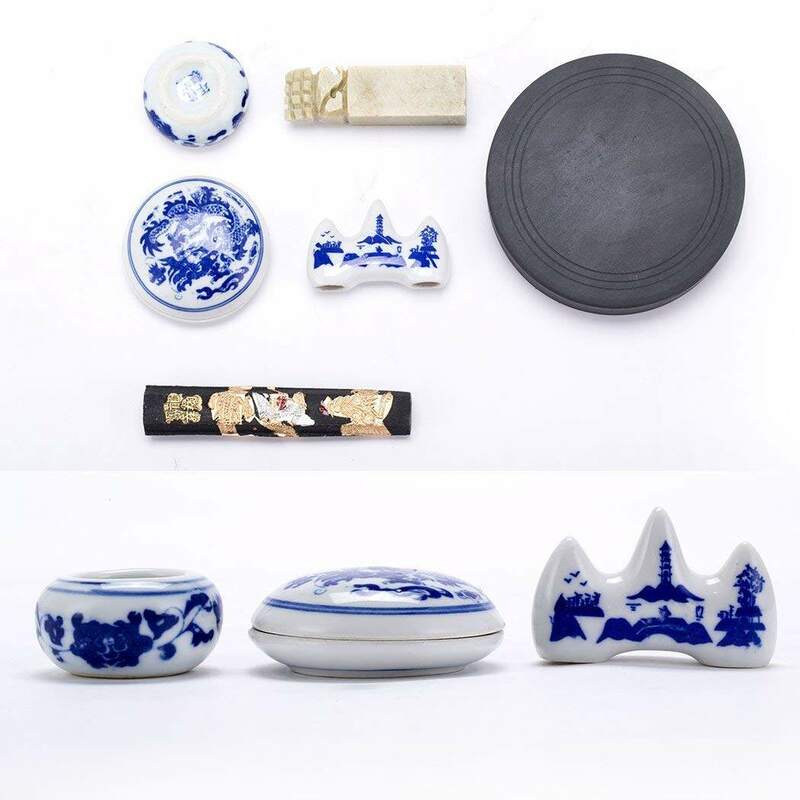 SERVICE GUARANTEE-- Safe gift packaging design. 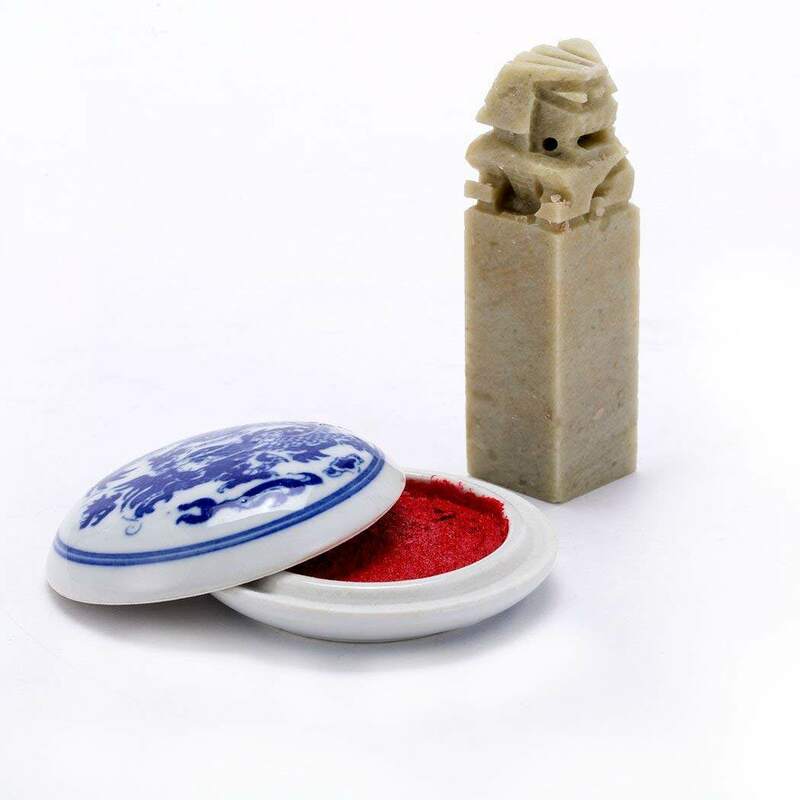 Now click "Add-to-Cart", you will get it in a safe packaging box and on time! More information, you could have a look at Product Description below. There is nothing more motivating to us than your Satisfaction. More questions, please kindly let us know. We will try our best to make the situation right.